Over recent years there have been significant developments in cyber terrorism with attacks being carried out globally. The UK’s GCHQ now identifies over 200 cyber attacks every month that target critical organisations and networks or come from significant sources, such as hostile states. That compares to 100 a month in the summer of 2014. Following the recent increase in cyber threats, Chancellor George Osborne pledged that the UK will spend £1.9bn over the next five years to deliver a series of initiatives to protect the economy and infrastructure, grow cyber companies, and deter adversaries. The funding will be focused towards the creation of a new National Cyber Centre, bringing together the UK’s leading cyber experts, and increased funding for the National Crime Agency’s National Cyber Crime Unit. 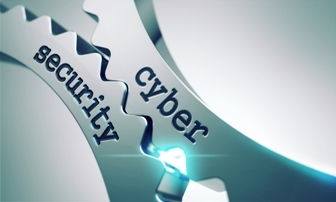 The increased focus on cyber security strategy is an international development. US government spending in this area has increased year-on-year, and is now at approximately $12bn a year. In the same period, the number of attacks increased from 5,503 to 67,168, highlighting the need to relentlessly strengthen cyber defences. David Thompson, Security & Counter Terror Expo Event Manager, said: “The threat posed by terrorists is now multi-faceted with groups utilising technology as a key weapon in their arsenal. Targets are becoming more diverse, as are the methods employed by those that seek to do us harm. Security & Counter Terror Expo will reflect these developments, showcasing cutting-edge technology while exploring the latest cyber security strategies. The event has an increased focus on uniting domestic and international professionals, and will include a host of features that benefit those working in the public and private sectors. Returning to Olympia, London from 19 – 20 April 2016, it is the premier event for all professionals looking to preserve national security, protect assets and individuals against all forms of terrorism, and deliver effective security strategies. The two-day Security & Counter Terror Expo is aligned with the Home Office’s seven security capabilities. The 2016 event will showcase the latest innovations in technology, equipment and services designed to assist border control, critical national infrastructure protection, cyber security, major events, offender management, policing and counter terrorism, and the emergency services. Security & Counter Terror Expo serves a vital role in delivering a unique environment in which global security professionals can source cyber security solutions. iStorage, Lucrypt Limited, KBC Networks and MD1 Technology are among the tech companies to already confirm their presence at 2016 show. Alongside the exhibition, leading figures will discuss the latest solutions and strategies at the Cyber Threat Intelligence Conference. Presented by techUK, the representative body for the UK’s technology industry, the sessions will bring together all those who work to prevent cyber terrorism and crime. Among the topics to be discussed will be an overview of global cyber security threats and how to mitigate against them. Key speakers will include Chris Gibson, Director at CERT-UK; Richard Parris, Chairman and Chief Executive of Intercede; Prof. Chris Hankin, Director at the Institute for Security Science and Technology; and representatives from the National Crime Agency’s National Cyber Crime Unit. In addition to cyber security, the 2016 show will focus on a number of key areas that could be targeted in the future. Critical national infrastructure will always be a prime target for terrorists and protecting it is an immense and often challenging task. The Critical National Infrastructure conference will address the issues faced, while showcasing how to guarantee the safety and resilience of critical assets and networks. There will also be a series of specialist free-to-attend conferences focussing on Transport Security and Advanced Technologies. Features at the 2016 exhibition include the Policing and Special Ops Zone that will showcase the latest products, strategies and thinking for global Law Enforcement and Special Operations teams. The highly popular Hosted Buyer Programme also returns, affording senior officials, seeking the next generation of equipment or technology, the opportunity to pre-arrange meetings with relevant vendors. Elsewhere, the World Counter Terror Congress programme will deliver insight, analysis and perspective to current threats. It consists of an extensive and highly specialised programme of workshops, lively debates and plenary sessions developed to offer an in-depth examination of specific issues and provide a focused forum for debate. John Hayes MP, Minister of State for Security with responsibility for counter-terrorism, security, and cyber-crime; Mark Rowley, Assistant Commissioner, Specialist Operations at the Metropolitan Police; Dr Jamie Shea, Deputy ASG, Emerging Security Challenges at NATO; and Sir Malcolm Rifkind QC, former Chair of the UK’s Intelligence and Security Committee, are just a few of the high profiles names confirmed to speak at the congress. Security & Counter Terror Expo 2016 is co-located with Ambition – the EPRR Expo – and Forensics Europe Expo.